BRYAN EATON/Staff Photo. 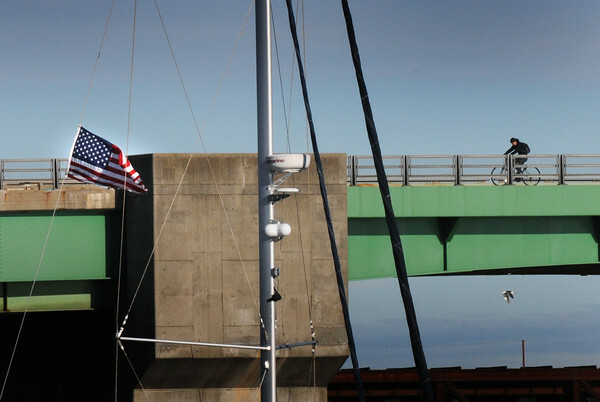 A bicyclist heads into a south wind as evidenced by the American flag at left as he crosses the Gillis (Route One) Bridge in Newburyport yesterday. The temperature was still nice despite the breeze, but gets cooler this weekend.